Ahead of its return to TV for the second half of season eight, it was confirmed on Wednesday that USA Network had renewed Suits for season nine. Given that the show has been a massive success for the network in recent years, the renewal isn’t exactly surprising, but that doesn’t mean it doesn’t come without a big, kinda bittersweet catch. As reported by Variety, Suits will be coming back for its ninth season, likely sometime in the fall. Interestingly, the final season will consist on only 10 episodes, meaning it should wrap before the end of 2019. 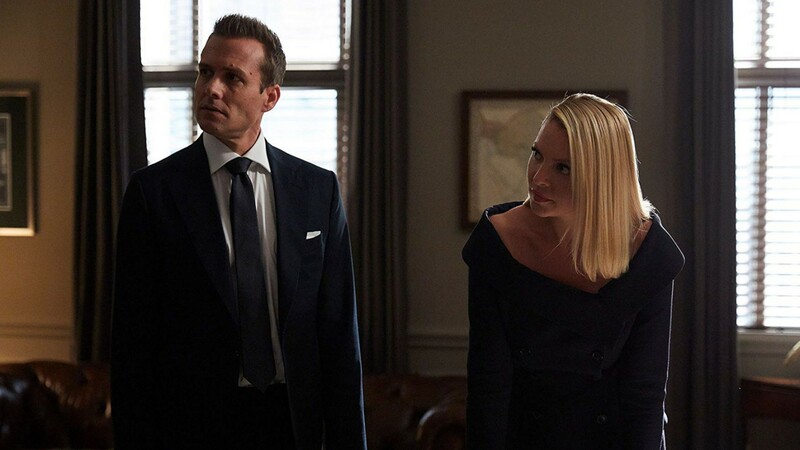 As previously teased, the big catch with this news is that Suits‘ ninth season will also be its last, so those 10 episodes will likely have to deliver big-time in terms of wrapping up some major character arcs if they wanted to end on good terms with their fans. With a renewal confirmed and the latter half of season eight hitting USA on Wednesday night at 10/9c, fans can expect the midseason premiere to feature “Louis as the new managing partner of Zane Specter Litt. In a last-ditch effort to unify the team, both Samantha and Alex got their names on the wall and these six episodes will explore their new dynamic, the power shift between Louis, Harvey and Robert, and Katrina’s promotion to senior partner — plus, Donna’s role at the firm and her new love interest,” per USA’s report on the show’s renewal. If parting ways with Suits at the end of 2019 is too much to bear and you still get misty-eyed looking at photos of Meghan, Duchess of Sussex because all you see is Rachel Zane (the character she originated on Suits when she was still known as Meghan Markle), fear not. A spinoff featuring one of the show’s early heavy-hitters, actor Gina Torres, will be coming to USA soon, and it will be focused on her Suits character, Jessica Pearson, as she sets up shop in Chicago.